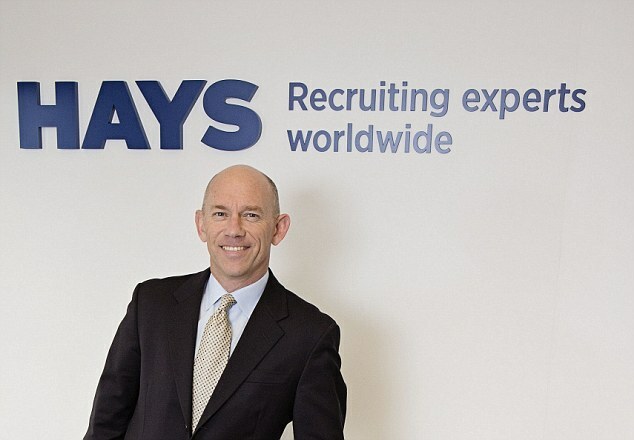 Recruitment firm Hays is to pay a special dividend following a rise in full-year profit. It reported a 17 per cent rise in pre-tax profits to £238.5m in the 12 months to June 30, boosted by a strong performance in its international unit. Hays recorded double-digit fee growth in all of its territories except the UK and Ireland, where they rose by just 2 per cent. Total net fees were up 12 per cent on a like-for-like basis, to a record £1.07 billion. Hays will pay a special dividend totalling £72.9m, or 5p a share, and also raise its core dividend by 18 per cent to 3.81p. Its British operations were hit by weak public sector hiring.